【High Quality】- It is made of cloth with strengthened straps and wear resistant rubber base, ready for all the working conditions.Its wide-mouthed bag with PVC materia made its heavy duty. 【Easy to Carry 】- The rubber-made handle is comfortable for hands and its special collapsible design makes the bag easy to carry. The adjustable strap and non-slip handle can make labor-saving. 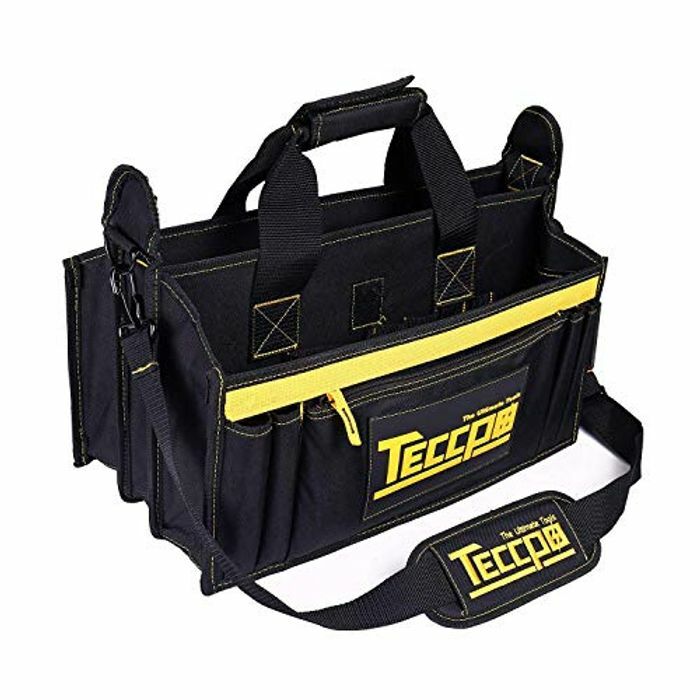 【Practical and Durable】- This tool bag is a good choice for carrying hand tools and other small to medium items which weighs more than 20KG. The thick base can keeps contents dry and protects them from tipping damaged. 【Unique Design】- There is a logo which is designed embroidery aside from the bag, which make the bag looks more beautiful and unique. Besides, the cloth and PVC material is difficult to be dirty.